Most teens would hold their breath and walk by quickly if they passed a sewage lagoon. Not Kimberly Gulevich, of Fort St. John, BC. Instead, she took a closer look and investigated whether smaller household sewage lagoons could become a source of energy. 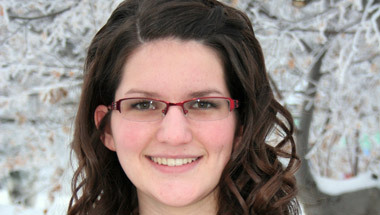 Kimberly’s feasibility study, “Got Gas?” earned her the 2010 Weston Youth Innovation Award. The $2000 prize, presented annually by the Ontario Science Centre, recognizes young Canadian innovators who use science and technology to make a positive impact on real-world problems. Sewage lagoons are often built for large-scale use, but in some developing countries, northern towns and First Nations reserves, they are used for individual households and apartments. Collecting the methane has two potential benefits: providing clean-burning fuel and keeping methane out of the atmosphere. Kimberly has attended countless science fairs including the Taiwan International Science Fair, with a variety of projects relating to the environment. She has already won half a dozen awards and scholarships, and is planning to attend the University of Northern British Columbia to study environmental engineering. Her conclusion? Methane capture on a small-scale, household level, would not provide enough benefit. But Kimberly believes the application on agricultural and municipal lagoons has potential. The judges at the Ontario Science Centre were not only impressed by Kimberly’s tenacity in testing her theories, but also by her ability to gather support from local business and community leaders for her project. 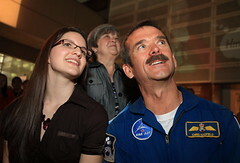 Kimberly received her award at the Science Centre on Friday April 30, where astronaut Chris Hadfield dropped by to give his personal congratulations.